It’s a slightly over the top headline, I’ll admit. 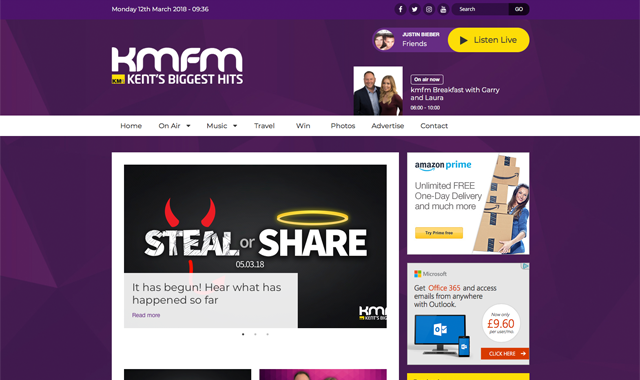 Having said that, a decent radio station website can make a huge difference to the overall ecosystem of a radio station. I’ll be taking you through my thoughts on a solid site. At the end, I’ll also be giving you some great companies to turn to if you need help. It’s never been particularly ‘easy’ to catch-up with your favourite radio show on the move. Yes, if you’re in the industry you might have RadioMonitor, or maybe you can record the whole show live and listen back later. But it’s never been easy to your average Wendy, 32 from Kent. Being organised is a real pride of mine when it comes to my Chrome bookmarks bar. I have a folder for my work items, one for my tools that I use across work and my website, and one for blogs.